The Toy Manufacturers of the U.S.A. was founded in 1916, resulting from a meeting of more than 45 American toy makers in New York City. 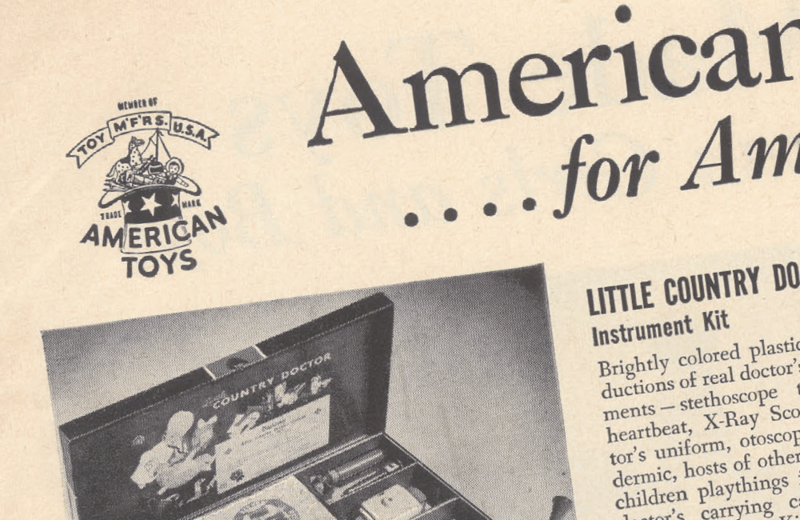 Later renamed the Toy Industry Association, one of the its key organizers and its first president was A.C. Gilbert, founder of the A.C. Gilbert Company and inventor of the Erector set. Exclusively for toy makers, the trade association’s primary goal was to improve the toy industry in the United States and showcase the availability of a diverse range of American-made toys for the holiday buying season. To that end, the association ran numerous print-ad campaigns in a variety of periodicals. This four-page ad ran in the November 27, 1950 issue of Life Magazine. Released in 1960, Hasbro’s "machine that thinks like a man" was inspired by the mammoth room-filling mainframe computers of its day.